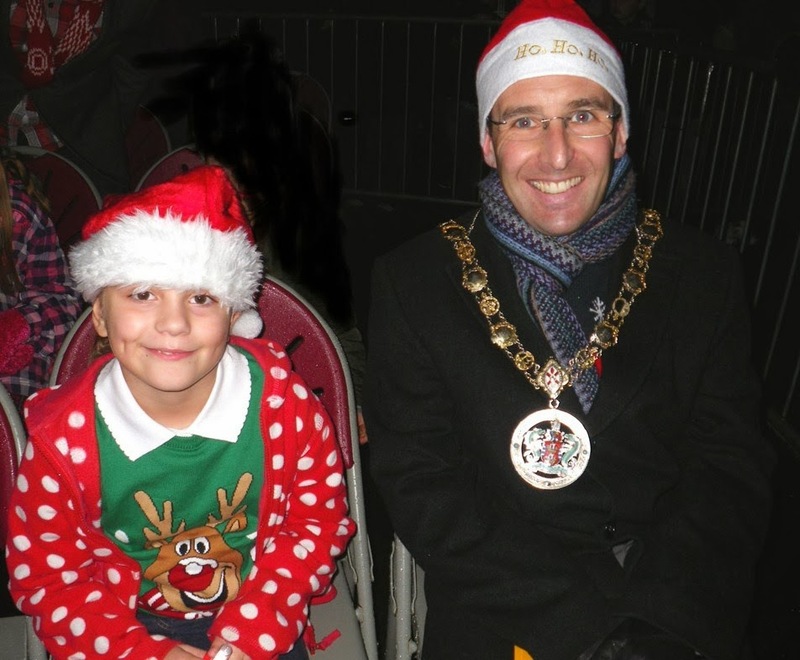 I was delighted to welcome young Myah to Bangor Castle for the Annual Christmas Lights switch on which took place on Saturday 23 November 2013. We both wore our best Christmas Jumpers and after a fantastic fireworks display seven year old Myah successfully flicked the switch and turned on all the bulbs decorating Bangor's huge Christmas Tree. Myah's winning drawing is now being printed onto the Mayor's Christmas Card which she will help me post in early December. After such a star performance on Saturday night Myah will also help me turn on the Christmas Lights in Conlig on Friday 6 December at 6.45pm. I would like to thank everyone for coming along to the Fireworks and Myah's light switch on at Bangor Castle and hope they will consider coming along to Holywood on Saturday 30 November at 4.30pm.